Letha Mae Hays, 92, of Hollis passed away Tuesday, July 24, 2018, at Harmon County Memorial Hospital in Hollis. Letha was born in 1925 to John McCawley and Bertha Revel McCawley. She attended most of her school years in Gould Oklahoma and graduated from Hollis High School in 1944. She married Jesse D. Hays April 25, 1942, in Hollis, Oklahoma. Letha and Jesse joined the First Baptist Church in Hollis September 4, 1943. Letha was an active member of the church and attended services regularly. Letha served with the Harmon County Election board for many years assisting citizens in the voting process. She and Jesse owned Hays Motor Company for 36 years where Letha handled the finances and bookkeeping until they retired in 1998. Letha was also a proud homemaker. Lethaâ€™s hobbyâ€™s included gardening, sewing, and cooking. 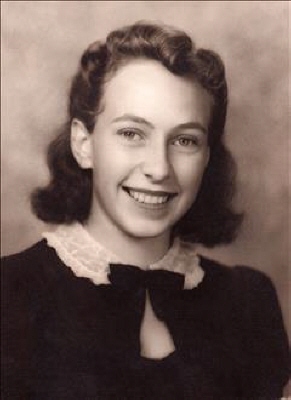 Preceded in death by her husband Jesse D. Hays in 2007; her parents, John and Bertha (Revel) McCawley; Letha is survived by three sons, Lloyd Hays and wife Ann of Hollis; Mac Hays and wife Bonnie of Iowa City, Iowa; and Glen Hays and wife Gail of Hollis; seven grandchildren, Leanne Hays of Fairfield, Iowa; Jessica Hays also of Fairfield, Iowa; Daniel Hays of Iowa City, Iowa; Shelia Wyrick of Hollis; David Ochoa of Spearman, Texas; Kerry Hays of Elk City, Oklahoma; and Coreen Davis of Mountain Park, Oklahoma; thirteen great grandchildren, Arwydd Hays, Frances Wilson, Cheilyn Wyrick, Logan Hays, Zoe Ochoa, Lola Ochoa, Abigale Ochoa, Daniel Ochoa, David Ochoa, Aryn Davis, Kassidy LaTre, Lena LaTre, and Alle Davis; as well as numerous other family members and friends. The family will greet friends at visitation from 5:00 pm until 6:00 pm on Friday evening, July 27, 2018 at Harmon County Funeral Home in Hollis. Funeral services will be at 10:00 am on Saturday, July 28, 2018 at the First Baptist Church in Hollis. Interment will follow at Fairmount Cemetery in Hollis under the direction of Harmon County Funeral Home, Hollis, Oklahoma. To send flowers or a remembrance gift to the family of Letha Mae Hays, please visit our Tribute Store. "Email Address" would like to share the life celebration of Letha Mae Hays. Click on the "link" to go to share a favorite memory or leave a condolence message for the family.